Ever cawing with tact, talkative Raven is the diplomat of the Native American Zodiac. Raven people have a positive outlook on life that’s contagious, along with a ceaseless quest for harmony. Raven is the Native American Zodiac sign for those born between March 21-April 19 (Southern hemisphere) and September 23-October 22 (Northern hemisphere). Raven, also sometimes designated as Crow, has a sensitive, romantic side. The main challenge for Raven is trusting in their decisions. While they seem to be naïve toward others, they are likewise idealistic and curious to a fault. Beware of “pretty shiny items” – things are not always as they appear. Ravens spend a good amount of time trying to find the right partner. Sometimes, however, they obsess and miss other opportunities both in relationships and situations. Certain necessities may also go by the way side until the situation becomes so blatant that Raven simply can’t ignore it any further. The Native American Zodiac depicts Raven as preferring the company of other Ravens. They do not do well going solo, and continually seek out a Murder (group of Ravens) with which to “hang out”. 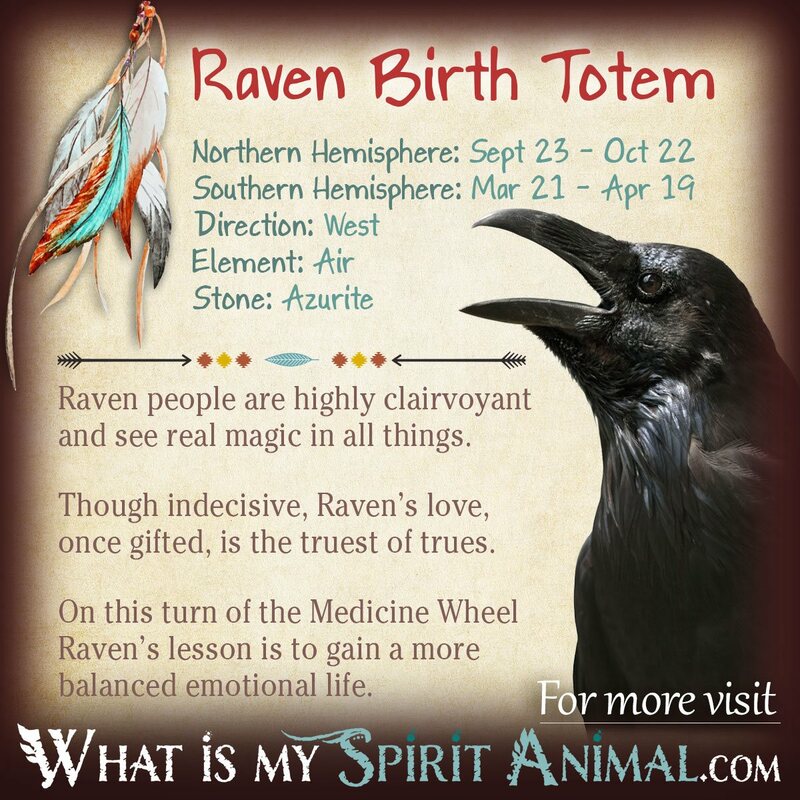 Raven totem people love making others happy but may forget to feed the inner-self and strengthen that same happiness. Once Raven matures enough to give themselves time, he/she will uncover all manner of personal aptitudes that can now shine through to the surface. Raven resonates with the Cardinal direction of West, the West wind and the Element of Air. Raven’s season is the Month of dead Leaves. Native American tribes, including that of the Hopi, consider Raven a companion to the Medicine Man/Shaman who assists in spirit walks. Raven sees beyond the here-and-now into the realms of magic, Nature Spirits and Angels. As a result, Raven people prove highly adaptable, and often find themselves seeking out Occult paths at early ages. Raven has much potential to help others with their true vision, and are happy to offer aid as needed. A challenge for Raven is the fact that they want to make others happily so badly they often change their stance to avoid hard feelings. This empathy helps them tune in, but not at the expense of loosing harmony. When Ravens walks their medicine, they are the keeper of great insights, a sense of justice and balance. The Element of Air drives Raven toward rapid mood changes and high energy levels. They want to communicate and do so very well. Ravens are part of the Butterfly clan along with Deer and Otter. 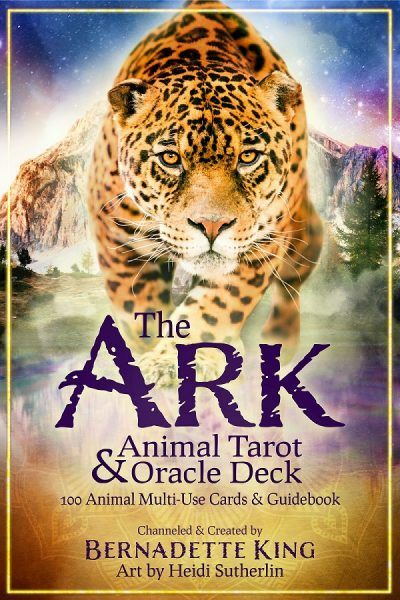 All these Native American Zodiac signs love keen minds and enjoy anything that inspires fresh ideas. The Raven’s sacred stone is Azurite, which is perfect for walking between the worlds. Azurite promotes psychic clarity, its energy charging through the walls of negativity and falsehood. Carrying this stone gives Raven improved selectivity. Add to that the properties of Ivy – devotion, good fortune, and well-being and you have a paradigm for success! The “R” in Raven stands for ROMANTIC! Raven has a deep-seated desire to find that one true love. While they search for this person, Raven will focus on preparing a space for him or her – something beautiful, yet cozy. Don’t be surprised if your Raven partner uses Feng Shui in the home. Ravens make dependable partners provided they have a strong monogamous relationship. Such fidelity is rewarded by Raven’s on-going quixotic efforts. This includes in the bedroom where they seduce and attend with attention to little details other lovers miss. The best Native American Zodiac signs for Raven companions are Owl, Otter, Deer, Falcon and Salmon. Raven is well suited to careers that focus on justice and equity. This birth totem knows how to talk to a wide variety of people, encouraging honest and open communication. Raven is not a loner at work. The idea of self-employment is enough to ruffle feathers. The caution for Ravens in group work settings is that they may put down a perfectly good idea in favor of someone else’s because they want people to like them. Raven’s symbolism is that of a messenger, so any job in communications also sets Raven up for a comfortable life with all the tasteful things of beauty they enjoy. This doesn’t mean Raven is selfish – in fact they will gleefully share their hard earned rewards with family and various charitable groups. I am a Libra ⚖ Raven.